Save more taxes – Invest in IFCI Infrastructure Bonds! I love to save Taxes and so do most people. And if you remember Finance Minister’s announcement in recent budget gave an opportunity to save taxes on additional Rs 20,000 by investing in Infrastructure bonds. 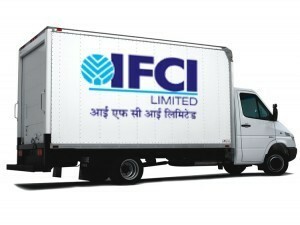 In keeping with this IFCI has launched the first infrastructure bond recently. The subscription is open till 31st August 2010 and the interest rates are 7.85% to 7.95%. But the question is should you invest in them? I know for some this doesn’t matter as most people just invest hearing that you can save tax and this clearly shows in the number of junk life insurance policies sold every year just to save tax. But for all those savvy investors who plan their taxes and investments lets see how much returns you would get! You must realize the interest you would get every year on these bonds would be added to your income and taxed accordingly. It has a locking period of minimum 5 years after which you can either sell it into secondary market or back to IFCI. Option 1: You can pay 30.9% tax on Rs 20,000 and keep Rs 13,820 and do what you want to do. Option 2: You invest in the IFCI Infra bond and be invested for the locking period of 5 years. Here the initial investment is Rs 20,000 but your opportunity cost is just Rs 13,820 (as this is the amount you would have had if you choose not to invest in IFCI Infra bonds). So we would do all the further calculations on the opportunity cost. Similarly you would get Rs 1085 each at the end of Year 2, 3, 4 & 5. Also at the end of 5 years you can sell your bond at Rs 20000. If you do a simple IRR function in Ms Excel you would get an Internal Rate of Return of 14.54% which means if you invest Rs 20,000 today you would actually get return of 14.54% annually for next 5 years (taking tax saved in account). Now if you do the same calculation for 10% and 20% tax bracket – your annual rate of return after tax would be 9.75% and 11.95% respectively, which by all standards seems to be decent when compared to other fixed income instruments. No TDS would be deducted in these bonds. The maximum tax benefit you can get from this bond is Rs 20,000 under section 80CCF and this is in addition to the 1 Lac limit under 80C. These bonds may be mortgaged or pledged to avail the loans after the lock in period. This IFCI Infra Bond has 2 options – one with buyback which gives 7.85% interest while the other without buy back which gives 7.95% returns. Which option should I subscribe? In case of buyback option IFCI is offering interest rate of 7.85% and after 5 years you have option to sell it back to IFCI while in the case of without buyback you get interest rate of 7.95% but you need to hold the same for 10 years. So if you calculate as in the case above your annual return on investment would be 14.54% in buyback option (provided you exit the bond at the end of 5 years) while 10.67% for non buyback option (if held for 10 years). The other thing is after 5 years you might exit in the secondary market by selling it in exchanges but I am not sure how liquid would the markets be for these bonds. So if you ask me what I am subscribing to – I would go for buyback option! I don’t have Rs 20000 with me right now. Is this the only opportunity for investing in Infrastructure bonds or I would get some other options going forward? Infrastructure Finance Companies like LIC, IDFC, IFCI and other NBFCs which are classified as Infrastructure Finance Companies by RBI are allowed to issue these long term infrastructure bonds. These bonds are good source of cheap finance for these companies. So going forward I think we would get more such bond offers. But be careful and look out on blogs and financial newspapers for these new subscription offers. Some newspaper reported that LIC would be coming out with Infrastructure bond pretty soon. Also some reports suggest that in next few months you might get better interest rates. I got an email asking about what should he choose Cumulative or non-cumulative option? For cumulative option you get interest at the end of bond maturity and also this is true compounding i.e. you get interest on interest but in case of non cumulative you would get interest every year directly to your bank account. I would advise to go for cumulative option. To start with a pre tax return of 7.85% doesn’t seem very attractive in these high inflation days but once you change your perspective and look through the opportunity cost window the return in the highest tax bracket turns out to be around 14.5% which seems to be excellent considering this is an assured return and almost risk free kind of tax saving investment. Also for 20% bracket the return turns out to be around 11.95% while 9.75% for people in 10% tax bracket which seems to be decent. I suggest everyone in the higher tax bracket to subscribe to the Infrastructure bonds. You may subscribe to this IFCI bond or wait for other institutions to issue these kinds of bonds. But by the end of this financial year you must opt to save tax on additional Rs 20,000! 7.75% Government of India Savings (Taxable) Bonds 2018 – Should you Invest?